RIVER Canal Rescue has this month formally launched Bilgeaway – a product it describes as ‘the world’s first truly environmentally friendly bilge discharge filter’. Bilgeaway uses a non-toxic solution to extract hydrocarbon contaminants (petrol, diesel, engine oil etc) from water and render them non-reactive, leaving environmentally-friendly contents in a cartridge which can be disposed of and the housing re-used. The product’s a ‘first’ because while other filter systems trap hydrocarbons, they fail to de-contaminate them, transferring the disposal problem elsewhere (typically a landfill site causing further land-based contamination). Bilgeaway’s capable of removing hydrocarbons to less than three parts per million (ppm) and doesn’t exceed five ppm. The UK Boat Safety Scheme requires hydrocarbon content to be less than five ppm when discharged into the waterways and the Marine Pollution Authority’s contaminant limit for coastal waters is 15 ppm. The plastic filter comes in small and large sizes and a chrome and stainless steel version is available for larger cruisers and yachts. 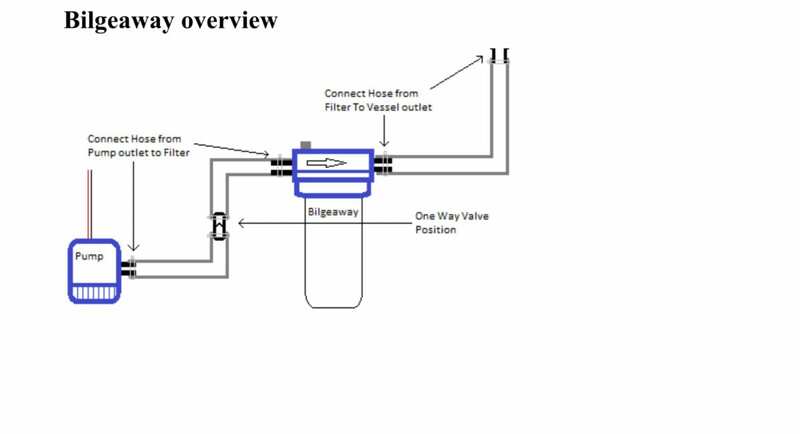 Simple to install and intended for use with a conventional bilge pump, Bilgeaway works with any current bilge system. When used with a high-pressure pump, the flow rate is significantly higher. RCR estimates the smaller filter will cost under £100 and replacement cartridge £30, the larger filter will be around £150 and replacement cartridge £50. The firm recommends filter cartridges are replaced annually or twice yearly if the vessel’s heavily-used. Bilgeaway has a three year warranty. The firm’s engineers began working on a prototype in February this year, and in May, showcased their innovation at Crick. Visitors described the filter as ‘remarkable’ and something that should be ‘mandatory’ on all boats. While RCR’s filter content is classified non-reactive – as bacteria naturally break down the hydrocarbons without harming the environment – the molecules present means it has to be disposed of as hazardous waste. In response, RCR has teamed up with WasteApp –a newly-launched tool that connects businesses and people to their nearest waste treatment facility. Once registered, users input their mooring or local boatyard postcode, plus a waste code of 150202, and a list of locations will appear. The app’s primarily for commercial use, but available to boaters and free to use during its initial launch phase, where feedback on functionality is welcomed. 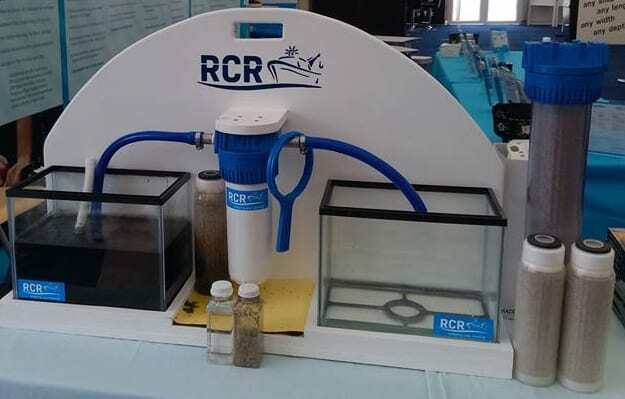 RCR hopes to offer a free disposal and recycling service in the future, and is in discussions with marinas/chandleries to arrange cartridge drop-off locations and various agencies to set up a national network of composting sites.